February 13, 2019 was the designated date for the 199th Annual Susan B. Anthony Birthday Celebration at the Convention Center in Rochester, NY. 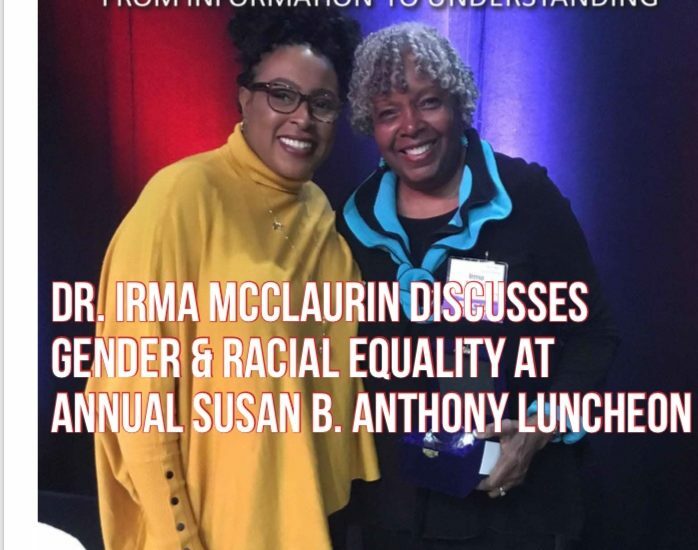 Hosted by the National Susan B. Anthony Museum & House, the event attracted a capacity audience of 1200 people. Below is an excerpt from Tracie Issac’s article published in the Minority Reporter. Excerpt: A sold out audience of over 1,200 women [and men] gathered excited to help the National Susan B. Anthony Museum & House celebrate the 199th Birthday of Susan B. Anthony at the Annual Luncheon held at The Joseph A. Floreano Rochester Riverside Convention Center on Wednesday, February 13. …“What would Susan B. Anthony say if she saw the response and level of commit to the cause by the audience here today? On January 3, 2019, 127 women were sworn in to serve in Congress and another 25 to the Senate. 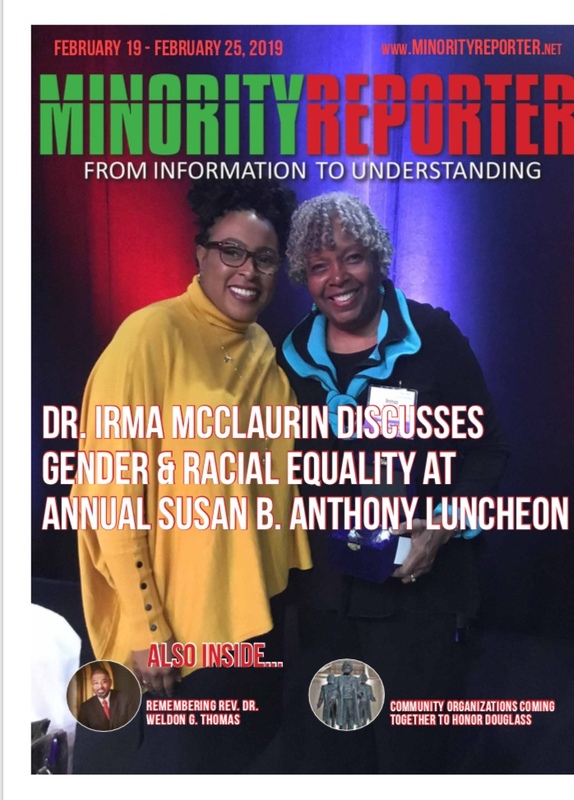 …Susan B. would be proud because she predicted such greatness, noted Dr. Irma McClaurin, keynote speaker. Read the article in its entirety: click here.